Go Direct Gas Pressure is used to monitor pressure changes in gas-law experiments in chemistry, biology, and physics. The Go Direct® Gas Pressure Sensor is fully supported with LabQuest 2 (version 2.8.5), a standalone data logger with built-in graphing and analysis software. Connect Go Direct Gas Pressure to the included Micro USB Cable and any USB device for two hours. You can also charge up to eight Go Direct Gas Pressure Sensors using our Go Direct Charge Station, sold separately (order code: GDX-CRG). An LED on each Go Direct Gas Pressure indicates charging status. Important: The Go Direct Gas Pressure sensing element will be damaged with direct contact to liquid. Easily investigate grip strength and muscle fatigue using the Go Direct Gas Pressure Sensor and the Gas Pressure Bulb. In this video, our Chemistry Staff Scientist, Melissa Hill, PhD, illustrates how easy it is to conduct a Boyle's law experiment using the new Go Direct Gas Pressure. 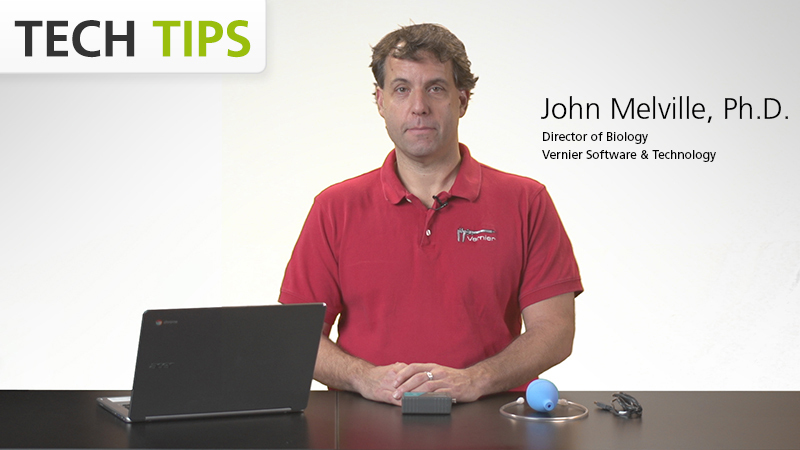 Watch and learn how to wirelessly connect the sensor, prepare it for data collection, and then collect and analyze data with our free Graphical Analysis™ 4 app. You do not have to perform a new calibration when using Go Direct Gas Pressure. The sensor is calibrated prior to shipping. If you do choose to calibrate, a one-point calibration at atmospheric pressure is adequate for most applications. Go Direct Gas Pressure has been calibrated to read station pressure. Station pressure is the true atmospheric pressure at your location, or station. If you prefer it to read sea-level pressure for conducting weather studies, you can perform a one-point calibration to correct for elevation, using the sea-level corrected pressure value for your location obtained from a reputable source (e.g., NOAA, Weather Underground, etc.). Sea-level pressure is the pressure after the station pressure has been adjusted to its equivalent pressure at sea level. This is commonly done to normalize pressures at various altitudes for weather forecasts. Go Direct Gas Pressure contains a small lithium-ion battery. The system is designed to consume very little power and not put heavy demands on the battery. Although the battery is warranted for one year, the expected battery life should be several years. Replacement batteries are available from Vernier (order code: GDX-BAT-300). To store Go Direct Gas Pressure for extended periods of time, put the device in sleep mode by holding the Power button down for at least three seconds. The red LED will stop flashing to show that the unit is in sleep mode. Over several months, the battery will discharge but will not be damaged. After such storage, charge the device for a few hours, and the unit will be ready to go. Go Direct Gas Pressure is not water resistant and should never be immersed in water. 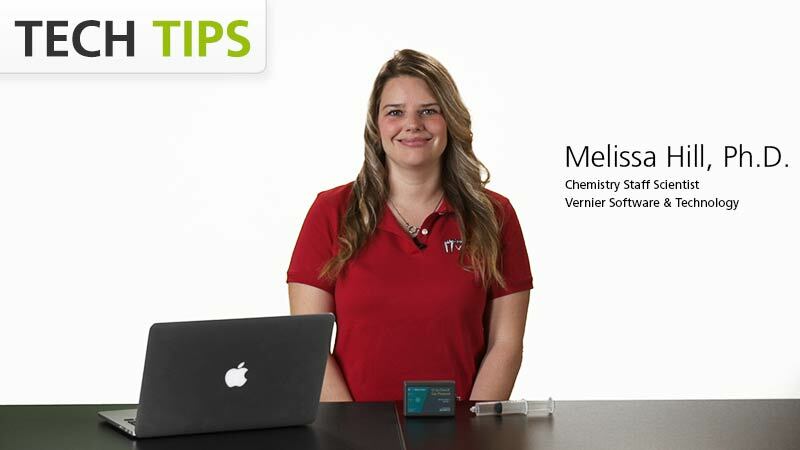 If you have watched the related product video(s), followed the troubleshooting steps, and are still having trouble with your Go Direct Gas Pressure, contact Vernier Technical Support at support@vernier.com or call 888-837-6437. Support specialists will work with you to determine if the unit needs to be sent in for repair. At that time, a Return Merchandise Authorization (RMA) number will be issued and instructions will be communicated on how to return the unit for repair.